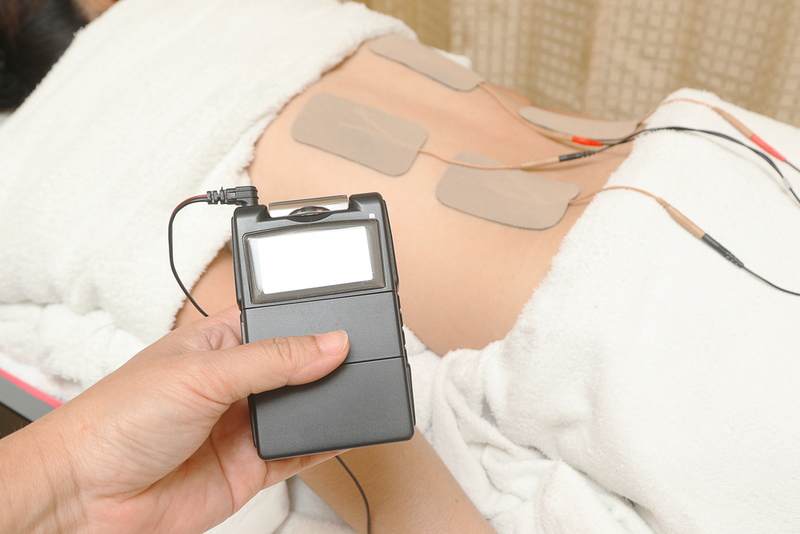 Electrotherapy is used to help manage pain, increase the rate of healing and improve the quality of the tissue repair. Electrotherapy uses an energy source to stimulate changes in the tissue. Here at advance Physiotherapy we use electrotherapy modalities such as therapeutic ultrasound, laser and transcutaneous electrical nerve stimulation (TENS), all of which work in different ways. Ultrasound and laser therapies are most commonly used in the recovery of an acute injury sustained to the muscles and tendons; however they can also be used in other more chronic circumstances. 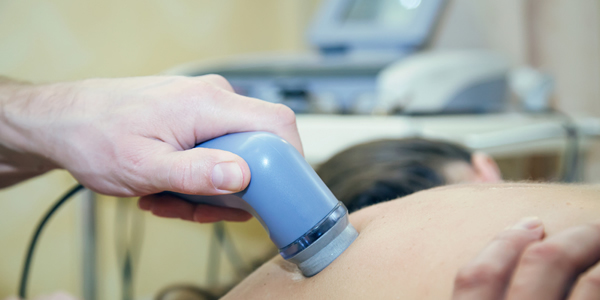 Therapeutic ultrasound works through an ultrasound probe that makes contact with the skin through a coupling gel. Different frequencies and time lengths are chosen depending on the depth and size of the injured area. Laser therapy, or low level laser therapy (LLLT) is a cold laser therapy that aids tissue repair. It can be used in both acute and chronic injuries including fracture healing and conditions such as arthritis or carpal tunnel syndrome. Low level laser therapy works in a similar way to ultrasound by using light energy to stimulate tissue repair. A laser is held over the problem area and an appropriate setting is programmed into the machine in order to initiate appropriate time duration. TENS machines use a mild electrical impulse to provide pain relief to a sore area. The continued stimulation of the area helps to block pain signals through a mechanism called the pain gate. When the gate is open messages can reach the brain but when the gate is closed the signals do not reach the brain. TENS machines close the pain gate and help provide pain relief. TENS machines are most commonly used for people with musculoskeletal pain such as chronic low back pain,osteoporosis and arthritis.